The size of texture simply means in relation to other textures of the material. 100% means that it is max size (which is normal whatever size diffuse) has, while 50% means half of the max, size and so on. This information just general outlines though. It is nothing that needs to be followed, but is good for optimization needs. File format is also just a guideline, although some formats like 3DC (for luminence-alpha), are almost requirements. The suffix means how the file name should be. The base for the name should always be the name of the mat file if possible (unless shared). Then prefix means: basename_[prefix].ext, for example: "mytexture_nrm.dds". All textures that can (all textures in the dds format basically) must have pregenerated mipmaps in them. In the exporter tool (like Nvidia Texture Tools) it should be possible to do this. Having mipmaps is crucial as it improves the graphical qualtiy and makes loading faster. Also, for all the compressed formats (which means pretty much all that are used) it is not possible generate mipmaps in the application, making it even more important that the created dds textures have mipmaps in them! The filer used to generate the mipmaps is also important. Normally "box" filter is good enough, but when there are many smaller details, these can easily become too blurred or strange aliasing patterns might arise. It is then better to use something like "bessel", "cubic", "catrom" or similar. In the texture export tools there should be a list of these to chose from under mipmap generation. Best is to zoom out so it looks OK, and only if there are any strangeness do you have to think closer about what filter is being used. As said normally it is not a problem. Never add a texture unless it adds to the final material. For example, do not use black specular, flat blue normal maps, and so on. It is almost always better to just not set the texture at all. For textures that only use alpha, it is a good idea to embed it in the alpha of a texture. That way a single texture can fill up two texture slots. However, take note that if a texture with alpha is used in many materials and/or can have a lower resolution than the one it is part of, it might be good to keep it separate. Use a single channel (grayscale) texture. The engine will always load single channel texture as if the texture only consist of an alpha channel (even though the image editor might name it an red channel or similar). If possible, it often is faster and saves space to have it as an alpha in a texture, so use that when possible. This is the most common material used and is basically an all-round solid (as in non-transparent) surface shader. It works nicely for metals, plastics, wood, organic (that do not require anything special), etc. A material having alpha and parallax on a mesh that where IsOccluder is true, will NOT be displayed correctly. An mesh MUST be set with IsOccluder=true for the dissolve effect to work! 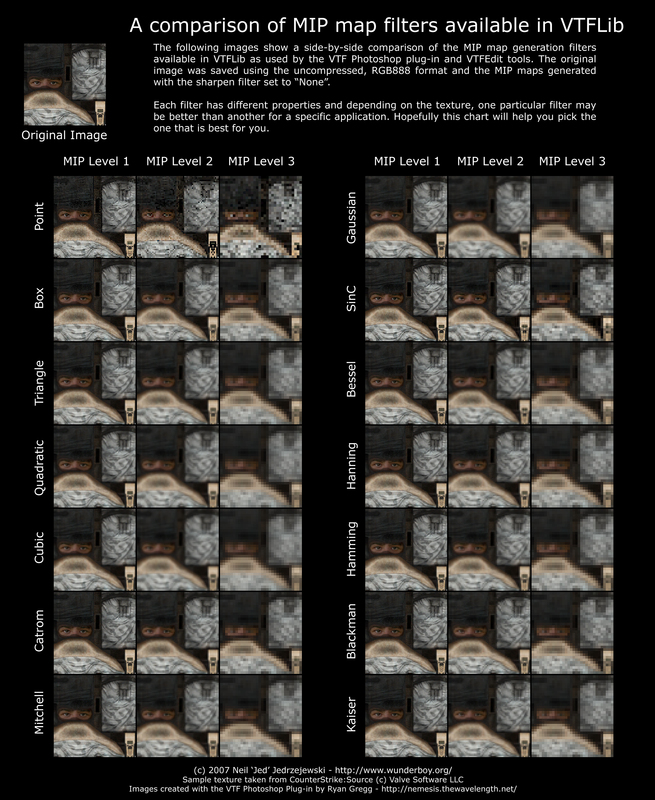 HeightMapScale | This controls the amount how much the max depth (pure white) will offset the pixel. HeightMapBias | Currently not used. FrenselBias | Bias for Fresnel term. values: 0-1. Higher means that more of reflection is seen when looking straight at object. FrenselPow | The higher the 'sharper' the reflection is, meaning that it is only clearly seen at sharp angles. SwayActive | If the model should sway according to wind properties. NOTE: Heightmap must be used to set the sway amount for each model part. SwayFreq | The frequency of the sway movement. SwayAmplitude | How much the sway offsets the model at maximum (in meters). SwayOctaveMuls | The sway consists of the three (high - low) different freq movements, this is the factor for each. SwayForceFieldMul | Factor for the force field induced sway. SwayForceFieldMax | The max offset (after adding factor) can that be added from a force field. This is simply the color and is needed for as good as all materials. Note that diffuse is a perfect texture for adding some other map (that only use alpha) in the Alpha channel. For example: Alpha, Height and Translucency map. File format: dds, 3dc (aka DXN, BC5). The specular map handles the specular intensity and power for each pixel. The intensity uses the R,G and B channel and the power in the Alpha channel. Intensity sets the amount of specularity (for each color channel) applied to a pixel, the higher value of the channel, the higher intensity. Power sets the sharpness of the specular highlight, a low value give a dull and diffuse look, while a high value give a wet/shiny look. Note that because of this, it is okay to use the Alpha channel of a DXT1 texture for this! This map is also used for sway, so when sway is active, normal parallax does NOT work. During sway it act has a factor for the sway. Black = no sway, White = full sway and all inbetween for greyscale of course. So if doing a swaying plant, make it black at the base of the plant and whiter as it comes nearer the top. Like diffuse, Illumination is a perfect texture for adding some other map (that only use alpha) in the Alpha channel. For example: Alpha, Height and Translucency map. Especially so if the size of the other map is 50% or so (as this is normally what the illumination map is). Size: NA, cubemaps take a lot of memory, so try and keep them small. Usually they are blurry and can be kept very small. This will apply a cube to the mesh as if it is was reflecting it (hence called "environment map"). Determines how much of each pixel on mesh should reflect. White=max reflection, Black = no reflection. A detail map is special in that it uses differnt UV coordinates from the rest of the textures (see variables). This map blends with the diffuse and specular (each according to weights, see variables section). The way it mixes, Grey (127) means that nothing is changed, darker (126 or below) makes the result darker, and brighter (128 or above) makes the result brighter). Detail normal works basically like the diffuse version, but on the normal map. This allows part of the texture to shine through to the backside when lit. This is good for thin organic shapes like nose-wings, leaves and fish-fins. Note that for this to work, the mesh must not cast a shadow or it must be thin enough (how thin depends on shadow settings). White means that all light from the front comes out back and black means that no light does. File format: dds, 3dc (aka DXN, BC5), tga for high quality. This texture shows how liquid should fade in, move and fade out over an object. The red channel contains a mask for how liquid should fade in on the image, the brighter a pixel is the earlier the liquid will cover it. The green channel contains a mask for how the liquid should fade out. If a 3dc compressed texture produces poor results then a RGBA tga should be used with the red channel stored in the alpha channel and the green channel stored in the blue channel. If the liquid is very thin then the mip-map filter should be set to "Point" when exporting the texture. This material is used for any transparent surface, such as glass, some forms of water, etc. It is generally not affected by lighting and when, only mildly so by setting the variable AffectedByLightLevel to true (more on that below). All available blend modes work for Translucent. Refraction | If the material has refraction (distortion of bg). Uses NMap and/or normals of mesh. RefractionEdgeCheck | If true, there is no bleeding with foreground objects, but takes some extra power. This usually makes object look a lot better so should generally be used, but have in mind that removing it when there are several object with refraction, it can speed things up quite a bit. RefractionNormals | If normals should be used when refracting. If no NMap is set this is forced true! If this is false (and NMap is set), then the material will only read from the NMap and use that as distortion. This can be quite nice fort certain effects such as animated water, magical portals and the like. RefractionScale | The amount refraction offsets the background. FrenselBias | Bias for Fresnel term. values: 0-1. Higher means that more of reflection is seen when looking straight at the surface. RimLightMul | The amount of rim light based on the reflection. This gives an edge to the object. Values: 0 - inf (although 1.0f should be used for max. RimLightPow | The sharpness of the rim lighting. AffectedByLightLevel | The the material alpha is affected by the light level. This is especially useful for objects that are in an environment where the lightlevel changes. How this works that for each light that intersect the Bounding box of the mesh, a light level variable is increased (according to color and attenuation). The final light level variable is then used to control the alpha. Note that diffuse is a perfect texture for adding some other map (that only use alpha) in the Alpha channel. For example: Cube Alpha map.. Instead of changing the way light is shaded (like with solid material), here the normal map is used to distort the background (if refraction is set to true) and/or to change the way reflection is calculated. Suffix: “sway” (do NOT use "height"). This map is used for sway, so when sway is active and NOT for any parallax stuff. It act as a factor for the sway. Black = no sway, White = full sway and all in between for greyscale of course. So if doing a swaying plant, make it black at the base of the plant and whiter as it comes nearer the top. Decals work a bit different from other materials in that they never write to the Z-buffer. Instead they simply write to the renderers G-buffer directly and what this means is that they need have have some solid geometry behind them to be visible. This make them useful as a sort clutter to add to add extra details. As the resulting image is affected by lighting it can be easily used to add dirt to floor, blood stainds, etc. The material require Alpha blend mode if normalmaps shall work! All available blend modes work for Decal. However, alpha blending mode is best (if not needed!) to use if anything else but diffuse map is in the material. HeightMapScale | The scale of the height map. DetailFadeStart | When the details start fading out. This will only apply the specular color/intensity and NOT the power. Because of this only 3 channels are needed! Water is a special shader that not only can render the world reflection, but also contain a special algorithm to simulate ripples. When using world refection, it is extremely demanding, so make sure there is not more than one visible at any time. Must be applied to a flat (or at least almost completely flat) and one-sided mesh. The amount reflection and refraction is offset by ripples in water. Bias for Fresnel term. values: 0-1. Higher means that more of reflection is seen when looking straight at object. The higher the 'sharper' the reflection is, meaning that it is only clearly seen at sharp angles. The speed of the waves. The size of the waves. The frequency of the waves. Where the reflection starts fading. Where the reflection stops fading. 0 or less means no fading. If a reflection should be shown or not. If occlusion culling should be used on reflection. If the vertices are animated. The speed of the vertex waves. The size of the vertex waves. The frequency of the vertex waves. This determines when the water should start fading when in shallow water. In meters. How fast the shallow water drops off, higher means faster, lower means slower. A modulative blend mode is forced. This is the basic texture that act as a base for the water surface. It is always modulatively blended with the background. This will apply a cube to the mesh as if it is was reflecting it (hence called “environment map”). It will be used instead of the world reflection, thus making the water rendering ALOT faster!